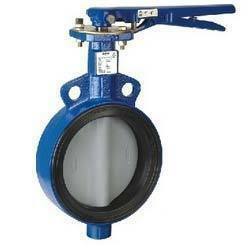 Our range of products include cast iron butterfly valve, butterfly valves and cast iron ball valve. 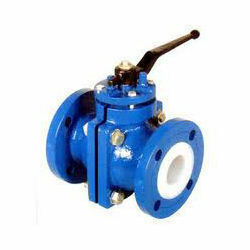 Our organization plays an excellent role in offering Cast Iron Butterfly Valve to our clients. These valves are offered in excellent range to our clients and are treated with heat which imparts robustness to their texture apart from improving their functionality. These valves are used in different industrial processes and are known to operate without any hassles. Our entire range of this valve has been completely checked. Our company has achieved widespread recognition in offering Butterfly Valves to the clients. Butterfly Valves are designed by skilled professionals, using optimum quality raw material and latest technology in compliance with the set industry standards. Offered range is widely acclaimed for excellent finish and rugged construction. Offered range is broadly demanded in various industries. Ball valves are engineered using finest quality components and using best available cutting edge technology. These are widely used for various critical engineering and manufacturing applications. These can be availed in various range, dimensions and technical specifications as per the exact requirements and demands. Entire range of these Ball Valves is properly quality checked on well defined parameters to offer defect free range at clients’ end. These are acclaimed for corrosion resistance, robustness and sturdy construction. Looking for CAST IRON BUTTERFLY VALVE ?